Ah, there's nothing quite like prime rib. Slow roasting it makes it even more tender. This recipe offers a simple but flavorful rub, which will be a part of a great gravy you can create after cooking the meat. 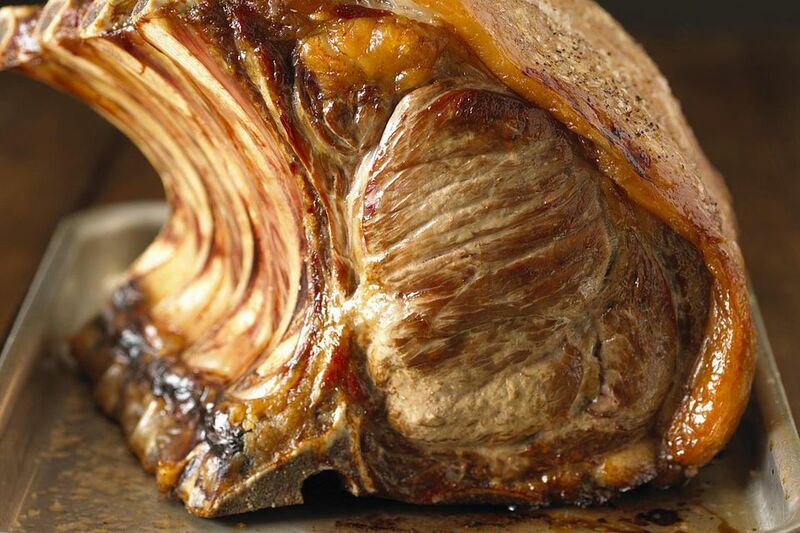 Remove prime rib roast from refrigerator and let stand at room temperature for 1 hour. Meanwhile combine garlic, salt, pepper, oregano, and rosemary together and rub over the surface of the roast. Place prime rib fat side up in a smoker-safe roasting pan. Prepare smoker for a 4- to 6-hour smoke at a temperature of about 225 degrees F/110 degrees C. When smoker is up to temperature, put the roasting pan with the prime rib on top rack and add several water-soaked chunks of wood. A mixture of apple and mesquite work well for this recipe. About halfway through smoking, add chopped vegetables to the roasting pan with the prime rib and throw some more wood chunks on the fire. When done, remove roasting pan from smoker. Place prime rib roast on carving board to rest for about 10 minutes. Place vegetables on serving dish and keep warm. Place roasting pan on stove over a medium heat. Add red wine and water to deglaze pan. Stir well and loosen any pieces of meat and vegetables. Add Worcestershire sauce, salt, and pepper. Heat for about 2 to 3 minutes. Carve prime rib roast and serve with vegetables and au jus.